Welcome back as we continue to blog out recent equipment inspection. If it’s your first time with us, you can read Part I and Part II online. We’re going to explain a little bit more in detail about the importance of having a good equipment control procedure in place and maintaining equipment inspection logs. Inspections shall be carried out by a competent person. Equipment can fail. Without training in inspection, and inspection and maintenance procedures, items of equipment can have faults that remain undetected for pro-longed periods of time. This may result in an increased risk of injury or harm to technicians, plant and/or equipment. Should there ever be any doubt about the continued serviceability of an item of equipment, the matter should be referred to a competent person or the equipment should be quarantined or discarded. It is good practice to try to establish how the damage occurred so that it can be prevented from happening again. Two of the biggest issues that companies and individuals face when it comes equipment are time and money, closely followed by the availability of a competent person to perform equipment inspections. For IRATA MC’s, well … we simply have to devote the time and money to maintaining our policies and procedures, conduct periodic internal audits to ensure we remain compliant, allocate resources to personnel for additional PPE & Equipment inspection training. If we don’t do this: we are at risk of losing our IRATA International membership. If you are working for a non-IRATA company, then often it falls to senior management and rope access supervisors to ensure that they are doing the best that they can, in so far as is reasonably practicable. And sadly, there can be a lot of resistance to improvement, because of the time and cost of implementing changes. 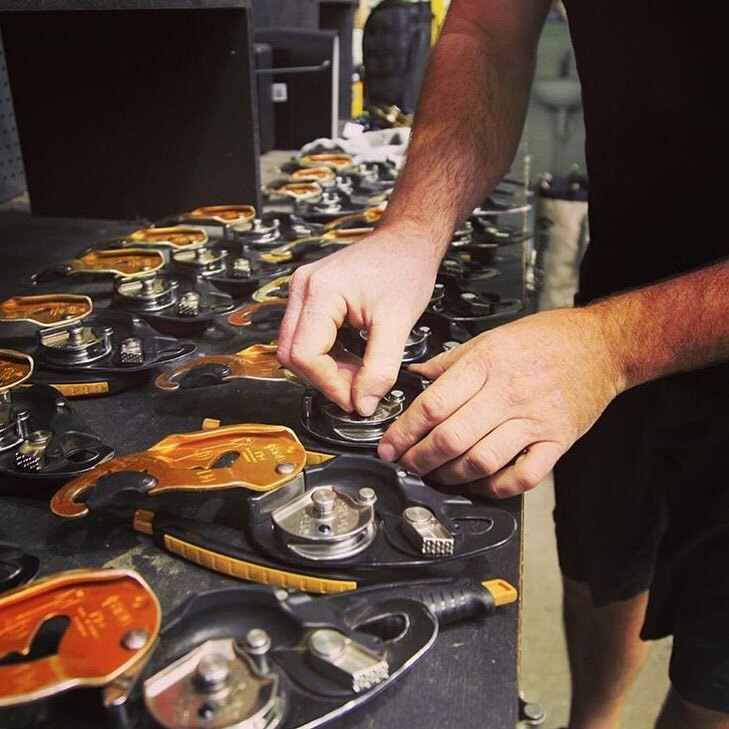 IRATA Level 3: capable to perform pre-use checks of his/her own rope access equipment, capable and responsible for performing final pre-work ‘buddy check’, responsible selection of equipment, capable of completing equipment inspection reports. To put it bluntly: an IRATA qualification is NOT an equipment inspection qualification. The IRATA International Code of Practice Part 2: section 2.10 provides supplementary information about inspection, care and maintenance of equipment and PPE. Annex H of the IRATA International Code of Practice provides operatives an inspection guide for use in conjunction with manufacturers inspection guidelines. Yes; IRATA technicians are made aware of the requirements of equipment inspections, what to look for, common issues, typical faults etc., But it is NOT a stand-alone equipment inspection qualification. The majority of equipment manufacturers endorse, or run their own PPE Inspection courses. 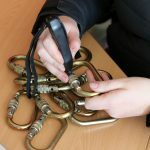 These can be single day, or multi-day courses and are specifically designed for inspectors and those responsible for the use of, examination and maintenance of PPE and ancillary equipment. If you are an IRATA Level 3 technician, technical authority, site manager or project manager of industrial rope access / working at height crews then we strongly recommend that you look into attaining a PPE Inspection qualification. 5th Point endorse the Lyon PPE Inspection qualification, and all key personnel at 5th Point hold a current and valid Lyon PPE Inspection ticket. 5th Point are also hosting a Kong PPE Inspectors course on the 13th of December – stay tuned for more information – including how to book on! Now, moving back over to the actual “doing” part of Equipment Inspections …. Beyond the physical inspection of equipment, maintaining a record of the inspections is quite simply one of the most painful parts of rope access / working at heights. As we have mentioned before, the unique identifiers that manufacturers supply on equipment can often become illegible, as do those that are engraved or marked on by users. Ultimately, once you are no longer able to read the unique identifier, the item needs to be destroyed – even if the item passes all other inspection criteria. 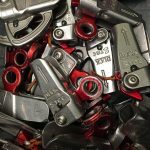 Managing items in a spreadsheet is the most common form of tracking equipment and inspections, and these spreadsheets remain simple when there is a small amount of equipment, and can quite quickly become unwieldily and daunting to manage when you have 6,000+ carabiners alone. As indestructible as we all like to think we are: human errors occur. Especially in data management. Papertrail is to date, the most simplified and easy to use systems we have encountered. One of the key features we have identified is the ability to tailor inspection timeframes – weekly, monthly, bi-monthly, quarterly, 6 months or 12 month inspection schedules. You can receive notifications if / when an item is overdue for inspection as well, making it easier to stay compliant with your own internal inspection policies and procedures. Each item of equipment has it’s own file; reducing the chance of entering in the wrong or incorrect inspection details on an item. You can upload images or photographs, technical notices and leave comments for each item as you go through inspection as well. Because it is in its own contained file, the amount of supplementary information you can add is streamlined – especially compared to a spreadsheet style of equipment log. You don’t have to scroll past giant notes to get to the next item – it is completely condensed into one information screen. As we’ve mentioned previously: the addition of a seperate RFiD field allows you to retain alternative tracking numbers, such as batch, serial numbers, allocated ID’s etc. All this information can be filled in separately as well, without interfering with the equipment schedule. If you already have this information on file, Papertrail can import it in for you – saving you time. The implementation of RFiD in conjunction with Papertrail at 5th Point has not been without it’s errors though: we understand that it is relatively new technology that is being rolled out, and to a certain extent we have been the sacrificial lamb to work out flaws and faults in the hope of streamlining for future organisations, companies and individuals. We’ll talk more about the hiccups in our next blog. Until then, stay safe – and thanks for reading.